This Bavaria Cruiser 37 sailboat, built in 2014 is an excellent choice for those wishing to experience a new sense of freedom in style and comfort. Wake up to the sound of the sea in one of the Bavaria Cruiser 37’s 3 spacious and modern cabins. Sleeping up to 8 people, this sailboat is perfect for sailing with friends and family. The Bavaria Cruiser 37 is located in Dubrovnik ACI Marina (Dubrovnik), Dubrovnik, a convenient start point for exploring Croatia by boat. Happy sailing. Klein aber fein! Kann ich nur weiterempfehlen! Select 'Book it' and complete the check-out to request this offer. A confirmation email will be sent within one business day once your request is confirmed by the charter. Your payment will then be processed. After your offer is confirmed, you will be sent instructions to finalise the pre-departure details with the charter. 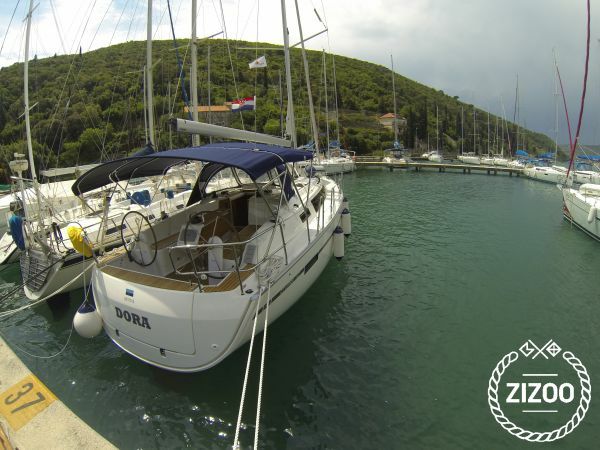 Upon arriving at the marina, you will pay the remaining obligatory and optional service costs. Jump on board and enjoy your holiday.